Due to unforeseen circumstances, this concert has been postponed . If you have purchased tickets, please present them to the person you bought them from for a full refund. Sorry for any inconvenience caused. We will be working with the church and the charity to arrange a new date which will be announced shortly. 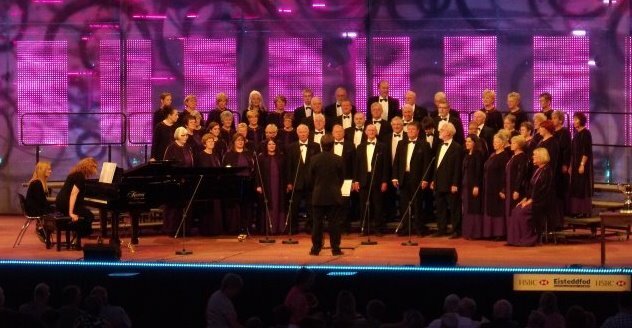 Cantorion Rhos are honoured to have been invited to hold their Spring Concert on Saturday May 12th at Wrexham Methodist Church, 37 Regent Street, Wrexham, LL11 1RY, in aid of the Mental Health Charity – “Advance Brighter Futures”. This is a locally based organisation which helps people in the Wrexham area build happier and more fulfilling lives through improving their mental wellbeing. Their hands on approach include a range of training opportunities, mindfulness and therapeutic courses. It has been “A Helping Hand for People with Mental Health” providing outreach services since 1992. The concert starts at 7pm, tickets are priced at £8/£7 concession and can be purchased from Wrexham Methodist Church or David Pearce, Cantorion Rhos Secretary on 01978 355043 or mobile 07944 143119. Come and support the choir, in aid of this charity which is close to many people’s hearts. Due to the bad weather, Rotary have taken the decision to cancel this concert. Apologies for any inconvenience caused. We will be performing once again at the Wrexham Singing Streets Festival. This year the event takes place on Saturday 30th September. The event starts at 11 am, with a mass sing in Queens Square at 1pm. We are singing at 2pm. We hope to repeat last year’s added bonus of recruiting new choristers. Please feel free to talk to any of our members about the benefits of joining the choir. On Sunday 11th December, we will be performing a varied programme of carols, readings and Christmas songs at Erbistock Church. There will also be seasonal refreshments. The concert starts at 18:30 and tickets are priced at £8. They are available from 01978 355043 and 01978 780303.